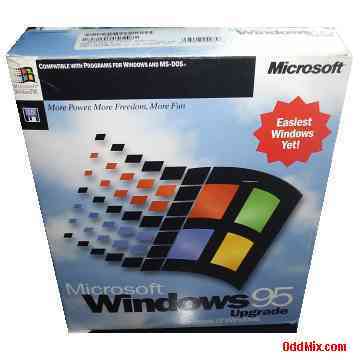 This classic, highly useful was the best improvement program for DOS or Windows 3.1 in it's time. Many who used it, or in the like of fast computers, still happily using it in some form or other. Not only this program is still works properly, but it does it like lightning in a DOS or Windows environment. Even on slow older computers the DOS and early Windows programs work very much faster. The comprehensive manuals organized into three volumes. Collectively the manuals explain how to use the program, in great detail, and cover all possible commands. First come first serve, only one available. • Happy with 4-8 MB of RAM! • Takes only 35-40 MB space on Hard Drive! • Size: 7.9 x 9.5 x 1.8 [in] approx. • Weight: 5-6 lbs. approx.